Almost 50 years ago, Arnold Palmer undertook a journey that would change the face of professional golf. He blazed a trail that would open up untold opportunities for professional golfers to make the kind of millions that they earn in modern times. In doing so, he became golfâ€™s first megastar. This week, Palmer celebrated his 80th birthday and tributes poured in from all around the world. It all started when he met college buddy Mark McCormack for the first time. McCormack, a legend in his own right, became golfâ€™s first true agent and he helped Palmer exploit his huge name through endorsements and sponsorships. In his first year, Palmerâ€™s endorsement earnings went from $6,000 to $500,000. And all because of a handshake deal with McCormack, the founder of IMG â€“ International Management Group that now serves thousands of professional golfers, other athletes and entertainment stars around the world, including Tiger Woods. IMG also had golfers such as Jack Nicklaus, Gary Player â€“ two giants of the game. Woods, Nicklaus and Player were among those who gave their best wishes to the man known as â€œThe Kingâ€ who has ruled the roost on all four major tournaments in his total collection of seven titles. In recognition of his achievements, the US Senate agreed to award Palmer with the Congressional Gold Medal in recognition of his service to America through golf. According to reports, in true Palmer style, he celebrated his birthday on September 10 playing a round with friends. 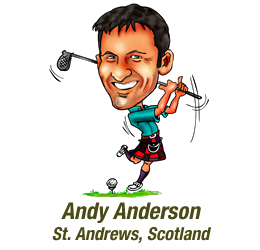 Hi Andy, I remember watching on TV in the late 50s and early 60s Arnold Palmer, Jack Nicklaus and Gary Player playing a series of games just the three of them. It was this that first got me interested in playing golf. I was about 17 years old at the time and go out to the local public course and me and a couple of mates would toss to see who we would be that day. It was great playing. not that we where that good but hell we were Jack, Arnold or Gary. I still have a carton sketch book on golf done by Gary Player in my possession and still refer to it occaisionally. I wish we could see that TV programme again because it was so good.